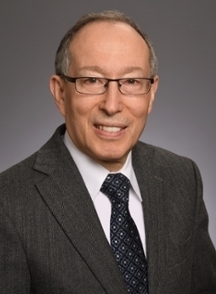 Walter A. Orenstein, MD, associate director of the Emory Vaccine Center and an Emory professor of medicine, pediatrics, global health and epidemiology, has been named a Fellow of the American Association for the Advancement of Science (AAAS). Election as a AAAS Fellow is an honor bestowed upon AAAS members by their peers because of their scientifically or socially distinguished efforts to advance science or its applications. This year's AAAS Fellows were formally announced in the AAAS News & Notes section of the journal Science on Nov. 24, 2017. As part of the Section on Medical Sciences, Orenstein was elected a AAAS Fellow for outstanding contributions to the health of children worldwide by research and leadership in measuring vaccine effectiveness and increasing vaccine coverage. "Walt Orenstein's contributions to global child health are tremendous," says Rafi Ahmed, PhD, director of the Emory Vaccine Center. "His relentless and passionate pursuit of vaccine effectiveness and vaccine coverage have saved the lives of countless children throughout the world over the past four decades. Orenstein is former director of the Centers for Disease Control and Prevention's National Immunization Program, and he joined Emory in 2004 after a 26-year CDC career. He spearheaded the Scientific Declaration on Polio Eradication in April 2013, declaring that an end to the polio is achievable and endorsing a comprehensive new strategy for a polio-free world by 2018. He has continued to lead efforts at ending polio through global vaccine strategies and is a consultant to the Bill & Melinda Gates Foundation on polio eradication. During Dr. Orenstein's tenure at the CDC, record high levels of immunization coverage among children were reached and indigenous transmission of measles and rubella was eliminated. Multiple new vaccines were introduced into the childhood immunization schedule, including vaccines to protect against meningitis, pneumonia and hepatitis B. He was on the frontlines of ending smallpox, the only human disease to be successfully eradicated. Orenstein is principal investigator of the Emory-UGA Center of Excellence for Influenza Research and Surveillance (CEIRS), one of five national multidisciplinary centers of excellence for Influenza Research and Surveillance, funded by the National Institutes of Health. Orenstein was elected to the Institute of Medicine (now the National Academy of Medicine) in 2006. The tradition of AAAS Fellows began in 1874. New Fellows will be presented with an official certificate and a gold and blue (representing science and engineering, respectively) rosette pin on Saturday, Feb. 17 at the AAAS Fellows Forum during the 2018 AAAS Annual Meeting in Austin, Tx. The American Association for the Advancement of Science (AAAS) is the world's largest general scientific society and publisher of the journal Science (www.sciencemag.org) as well as Science Translational Medicine, Science Signaling, a digital, open-access journal, Science Advances, Science Immunology, and Science Robotics. AAAS was founded in 1848 and includes nearly 250 affiliated societies and academies of science, serving 10 million individuals. Science has the largest paid circulation of any peer-reviewed general science journal in the world. The non-profit AAAS (www.aaas.org) is open to all and fulfills its mission to "advance science and serve society" through initiatives in science policy, international programs, science education, public engagement, and more. For the latest research news, log onto EurekAlert! (www.eurekalert.org), the premier science-news Web site, a service of AAAS.